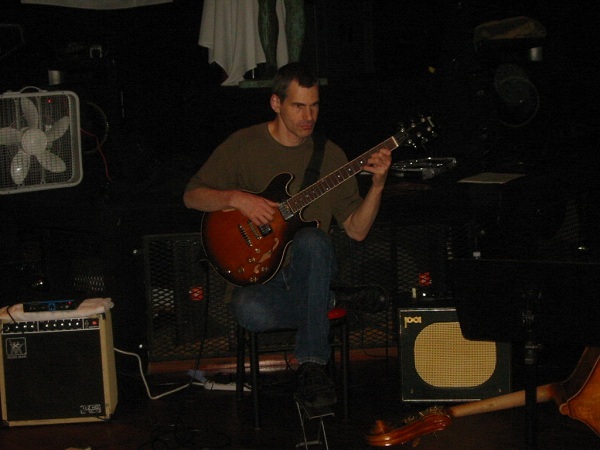 Back in around 1999, I was studying jazz performance at Vanier College in Montreal. As any typical young player in the ‘90s, I was into the classic players such as Wes Montgomery, Pat Martino and Joe Pass, a few obscure guitarists like Lenny Breau and Ed Bickert and of course had spent my obligatory time with Pat Metheny’s catalogue. But then one day my teacher Nick Di Tomasso, who had incredible foresight, gave me a record and said, “If you think those guys can play, you need to check out this album, it’ll change your life.” That would be an understatement to say the least. 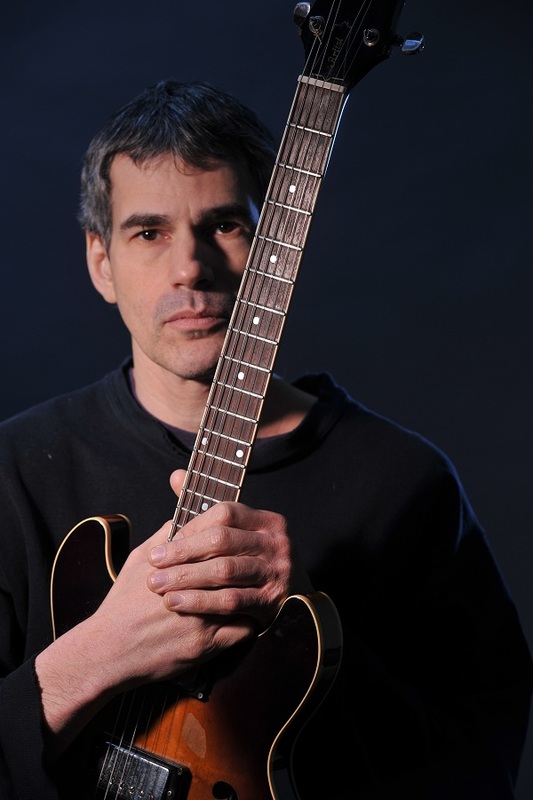 The album was Dust by the New York based, virtuoso guitarist Ben Monder. That album did change my life. It opened up my ears to new harmonic possibilities, showed me how powerful slow tempos could be and that one didn’t have to play tunes at 300 bpm’s to be impressive, and instantly made me a fan of Ben’s writing and performing. Over the years I’ve had the chance to see Ben live about a dozen times, and was lucky enough to see him teach a few masterclasses and as a master’s student got up and played for him during one such class, his thoughts on my playing still reverberate in my practice routine to this day. While I’ve been able to see him perform, enjoy his records and watch him teach, I’ve never had a chance to really pick his brain, so I reached out to Ben and he was gracious enough to grant my request for an interview, where we talked about his approach to practicing, Ibanez guitars and the progress he’s making on his new album. Oh, and if you’re a fan of jazz, or the guitar in general, do yourself a favor and check out Ben’s albums, they’ll change your life. Matt Warnock: When people think of your music, your high level of performance ability and musicianship often come to mind. Can you take us through a typical practice routine when you sit down with your guitar? Ben Monder: Assuming I do practice on a daily basis, [Laughs] which is sometimes the case and sometimes not depending on how busy I am. In general I like to practice in the morning if I can, but my hands don’t work very well at that time of the day, so I usually start with some chord work where my hands don’t have to move very quickly or do anything too difficult. I’ll start with whatever chord thing I’m working on, usually three or four different subjects that I’m working, then do some ear training and later on go to the pick and try to get moving. More specifically, for the last few years I’ve just been shoring up basic elements of guitar harmony, doing a lot of triad review, moving triads through cycles and different scales, 7th chords, just basic stuff, and then getting into more personalized practicing from there. Matt: Are you very organized in your practice routine? Ben Monder: In theory I’m pretty organized and sitting on my wall is a whole practice schedule which is impossible to get through every day. I felt compelled to put it up on my wall even though I never really look at it. [Laughs] In the ideal world I’m very organized, but when it comes to reality it’s more haphazard. I really like the idea of working on a few things over a period of time, really focusing my attention on a few ideas until I have them down. Matt: How much improvising do you do when you practice? Ben Monder: I try to set aside some time to use whatever material I’m working on in a spontaneous way, definitely. If I don’t do that, then I find that things don’t come out in the real world, in a real situation. But, things that I practice in the abstract, I’ve found that they rarely come out in an improvised setting, you have to force the issue a little bit to make them work. Matt: I think some people might find it surprising that you say you focus on the basics, because when they hear you play it doesn’t sound very basic to many people. Ben Monder: Yeah, but I think you could probably detect a lot of basic elements, like I do a lot of stuff with triads for example. I’ve always been focused on the basics, and recently even more so. That’s how I learned, and when I teach that’s how I do it, just focusing on the basic building blocks and then upwards from there. Matt: There’s a story that’s gone around about your time as a student at Miami, that you practiced all day, flunked out after a semester and then became a professional player. Is there any truth to those rumors? Ben Monder: Actually I got kicked out for dealing blow. [Both Laughing] You didn’t believe that for a second did you? I don’t think I flunked out, but I forget how I did really. I did practice a lot, and I felt that the other students didn’t really practice much as well. There were a lot of distractions going on, typical college stuff. There were a number of classes that I enjoyed. I remember that Ron Miller had a class that I really enjoyed and I really liked Randall Dallahon the guitar teacher. But, there wasn’t really that serious of an attitude with the students, but then again they’re 19 or 20 years old, so maybe that’s not the time for having that serious of an attitude. I remember sitting on the balcony of the music building shedding a lot. Matt: I hear a strong foundation of bebop in your playing. Do you feel it’s necessary to have that bop foundation before exploring other, more modern styles of jazz? Ben Monder: It’s not like it was a premeditated thing, like I wanted to have a strong bebop background and then get into more modern music. I think I just got into it because that’s what I was exposed to at the time. When I first got into jazz, that’s what was most attractive to me. So, I digested some of that vocabulary because that was the music that I liked. Whether it’s necessary that’s not for me to say. There are many ways that you can interpret this music. Would you say that Albert Ayler should’ve had more bebop in his playing? [Both Laugh] I think the question is more, what is your musical vision and how determined are you in pursuing it? What’s your intention? How strongly can you really manifest your musical identity? Matt: One thing that differentiates you from a lot of your peers is that you haven’t spent much time, in comparison, teaching at colleges and universities. Why do you think you haven’t pursued that career path as much as some of your contemporaries? Jazz is in a funny situation, because there aren’t that many opportunities for work relative to the amount of people who are studying it in schools. Jazz education is kind of booming. It’s a bigger business than jazz performance. It’s a closed circuit with not that much relevance to anything outside of it. You have these jazz programs churning out students that then go to other schools to teach the next batch of students. That’s what I’m seeing anyway. Matt: Jazz seems to be best taught with a mentor system, as well as learning in live performances, but those opportunities to learn from older players seem to be being replaced by the college teaching system. Do you feel that jazz is becoming stagnant because of this switch in how the genre is learned and taught amongst musicians? Ben Monder: That might be one reason. It’s hard to say whether jazz is stagnant. I do see lots of very accomplished players and a lot of them have very interesting ideas, but it’s just getting your music out there. There’s nobody with a lot of resources behind their music, they’re all self-releasing records and doing PR themselves. I think there’s more access to a mass audience right now, but there’s so much more competition so it’s harder to draw people to your music. I guess I’m not keeping up with the vanguard of what’s happening. I just don’t have the time in my day to check out the new voices in the genre. Matt: One side of your playing that stands out is the quasi-shred stuff that you do, when you crank the distortion and start sweep picking and using three-note-per-string scales, that sort of thing. Were you a fan of that whole ‘80s shred movement when you were coming up? Ben Monder: No. [Laughs] You mean the whole ‘80s, hair metal, shred stuff? Matt: Yeah, like Yngwie Malmsteen, Vinnie Moore and Paul Gilbert, those kinds of players. Matt: So where does those sounds come from in your playing then? Ben Monder: The sweep thing really comes from Chuck Wayne, you can blame him. [Laughs] He taught that technique, he called it consecutive picking, and when you take that to the extreme it ends up sounding like sweep picking. Before I started studying with him I was more into alternate picking, like Al DiMeola or something. When I was a kid I was interested in rock, like any other kid, so there’s always been that element in my playing. A long time ago, when I was trying to play along to John Coltrane solos that distorted sound brought me closer to the sound of a saxophone in a way. So there’s that element in there as well. Matt: On the opposite spectrum, you’re also know for your love of really slow tempos, the album Dust is a really great example of that approach. Can you trace that penchant for really slow tempos back to a certain moment in your life, or was it always there in your playing over the years? Ben Monder: I don’t think it was always there. I think that’s something that’s evolved more recently. When I was much younger I just wanted to be impressed by people and hear them play fast tempos, but at some point I learned to relax and enjoy people who left space in their playing. One of the things I do in my practicing is put the metronome on at a really slow tempo, like 5 or 10 beats per minute, and work on time that way. Work on my internal clock. I guess a very slow tempo could lead you to a more direct appreciation of sound for its own sake, that when you speed things up might get subjugated by other timbres. 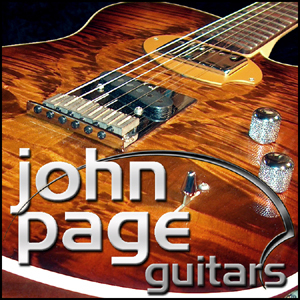 Matt: You’re also known for being one of the earliest jazz guitarists to make the switch over to the Ibanez Artist, and then a lot of guys followed you in that choice over the years, especially in the ‘90s. Are you still playing your Artist and why did you choose to start playing that guitar? But, with a little set up and playing with it over time it started to sound more like I had envisioned. I did buy a Gibson 336 a few years ago, which is technically a better instrument, but I didn’t like it. I couldn’t bend the neck and the harmonics didn’t sound right. I thought that it was time to graduate to a real guitar, but I ended up selling it a couple of weeks later. Matt: Are you currently working on a new album with your band? Ben Monder: I am. I’m working on the next quartet record, so we’re rehearsing stuff now. 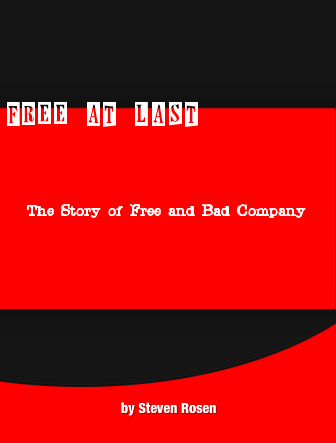 It’ll be along the lines of the last record, in a similar vein. Every time I set a timeline for the record I never follow it, so we’ve been rehearsing and I’m thinking that the song we’re rehearsing right now will be recorded in June or July. My goal is to have everything recorded by the end of the year, then sit down and mix and master it early in 2012 and get it out shortly after that. 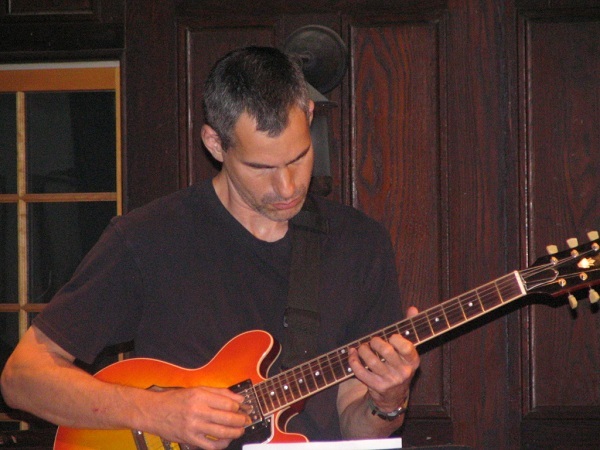 Matt Warnock is the owner of mattwarnockguitar.com, a free website that provides hundreds of lessons and resources designed to help guitarists of all experience levels meet their practice and performance goals, and is the author of the widely popular “30 Days to Better Jazz Guitar” series. Matt lives in the UK, where he is a lecturer in Popular Music Performance at the University of Chester and an examiner for the London College of Music (Registry of Guitar Tutors). Gregg Allman - The Midnight Rider Crafting Music His Way! Steve Stevens – A Guitarist for all Seasons! KK Downing of Judas Priest Discusses Being an Innovator of Heavy Metal! Never gets below the surface….there’s a bunch of these interview out there already. Get deeper please! Do you love the guitar and all things guitar related? Find yourself with a great idea but have nowhere to express it? Why not write a Guest Article? Contact GI today to find out how! 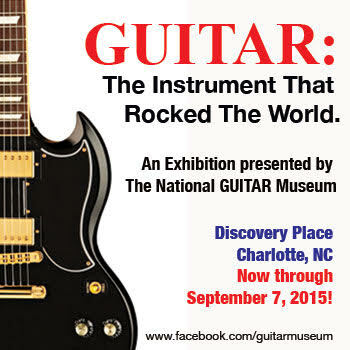 © 2015 Guitar International Group, LLC. All rights reserved.